Discover & Experience the 7,107 Islands of the Philippines! 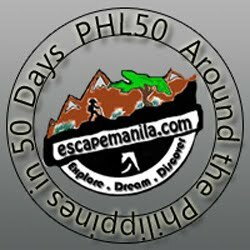 Why a lot of travelers skipped the Philippines on their Asian Trips? Every May 15, the fronts of houses in Lucban, Quezon are are elaborately decorated with brightly colored rice wafer, called kiping, a type of rice dough made from a traditional recipe. The occasion is the Pahiyas Festival which is done in honor of San Isidro Labrador, the patron saint of the town. This is to give thanks for a good harvest to assure farmers of more bountiful harvests in forthcoming seasons. The colorful Pahiyas festival that we have known for years dated as far back in the 16th century when Catholicism is on the rise in Quezon province. As many have told, it started as a way of thanksgiving for a good harvest. And the bountiful offers were given to the Franciscan missionaries who brought Catholicism in the 1500s. Presently, the Pahiyas Festival has become the pride not only of Lucbanons but all Quezonians for consistently keeping the culture and religion alive. The bright colors of "kiping" transcend the beauty if this town, not to mention the friendly smiles and greetings you get to receive from one street to another.